Andrew is a qualified Insolvency Practitioner, Chartered Certified Accountant and has a degree in Accountancy and Finance. 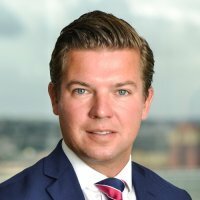 He joined the Leeds office of Begbies Traynor in January 2006 having previously worked for PwC, Baker Tilly and BDO Stoy Hayward. Andrew opened a Hull office for the firm on 1 May 2008 and has a broad range of experience in Corporate Rescue and Recovery, restructuring, personal insolvency, business investigations, review work and funding solutions.